Expert guide in history. English and Spanish. Discover the most representative places of old Madrid. Get to know the old Madrid. Learn more about our history and culture. 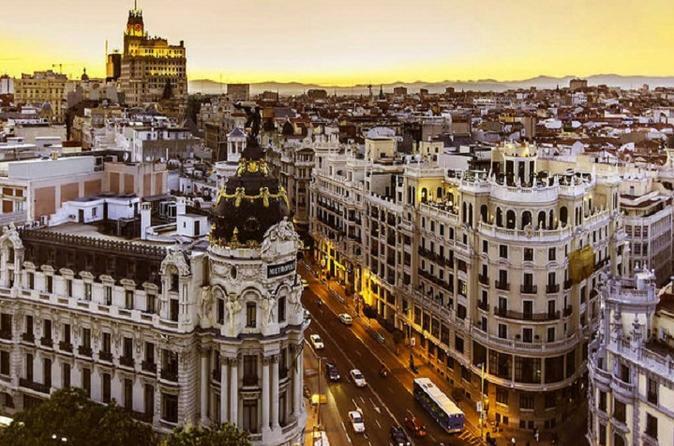 Get to know old Madrid in 3 hours by seeing the most representative places in the capital of Spain. Our stroll starts at 9.00 AM or 4.00 PM at "The Statue of the Bear and the Strawberry Tree" (Puerta del Sol). Pass by iconic Madrid landmarks like the Puerta del Sol, Plaza Mayor, House of Representatives (Congreso de los Diputados), The literary neighborhood where the writers of the Spanish Golden Age lived, The oldest restaurant in the world, Plaza de la Villa (The Old City Council), Almudena Cathedral ,Royal Palace, Plaza de Oriente, The Austrians Neighborhood, San Gines church etc. During the tour you will learn more about the history of each neighborhood, asking what you want. You will be guided by a local expert in history so at the end of the tour you will know more about the history of my city and my country. Also at the end of our tour if you wish we will inform you about restaurants or bars to go to eat.